Columbia wins the 2018 Class AA Section II baseball championship (courtesy Mary Signorelli). 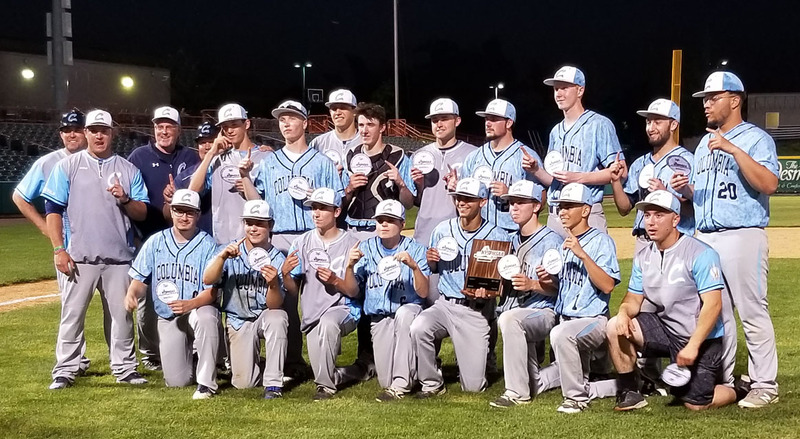 Columbia baseball won the Class AA Section II championship on Tuesday evening with a 3-1 victory against the Ballston Spa Scotties at Joe Bruno Stadium. Senior Danny Watson threw a complete game with eight strikeouts and Nic Stagnitta, Willie Terrell and Matt LaHera each drove in a run to earn Columbia’s seventh Section II title in program history. The Blue Devils advance to the New York State Regionals and will play Section III champion Baker High School on Saturday, June 2 at 7 p.m. at Joe Bruno Stadium. Tickets cost $8.00.